In class this week we previewed the book, Stewart Pidd Hates English and completed a few exercises, namely quizzes to test our skills on "Confused Words" and "Sentence Punctuation." I was really pleased that most students have their books. I had a few copies of sections from Pidd, such as: "Plagiarism and Paraphrasing" and Essay 1. Here are more details on the reading, essays and Pidd. I will give students copies of these assignments Thursday in class. Homework was to read and do the exercises up to page 30 or Essay 1 as well as start the exercises re: "Plagiarism and Paraphrasing." 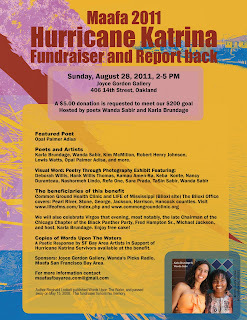 Tomorrow we will summarize the news articles students read about Katrina 6 Years after the Storm or Michael Jackson. Make sure you read your article. We will read a book a month. In August-September as we work our way through SPHE we will read Michael Eric Dyson’s Holler If You Hear Me: Searching for Tupac Shakur. Weekly there will be at least 2-3 weekly cyber assignment connected to each section. At the end of the book we will write a short essay reflecting on a central theme from the book or a character analysis of Tupac Shakur based on Dyson’s scholarship. We will listen to select songs as well as write a skit based on one of the chapters and perform it in class (smile). Final drafts due: Sept. 30 via mail coasabirenglish201@gmail.com for English 201 and coasabirenglish1A@gmail.com for English 1A. There will be a separate essay assignment sheet. Afeni Shakur: Evolution of a Revolutionary by Jasmine Guy is an easier read than Dyson and we will finish it quickly. I like to look at the themes: nature vs. nurture for this book as well as forgiveness of self and others. These will be the topics students can consider for the essay based on this book. We will start the book in October, October 10, but students can start sooner. We will read, beginning with the preface, 50 or so pages a week. We will finish the book the week of Oct. 31-Nov. 3. Essay plans are due: Nov. 1. First drafts are due Nov. 2/3. Final drafts are due: Nov. 7. Students will already be looking at potential subjects for the final essay on a Social Entrepreneur and the research associated with this essay will start in November. The essay is due at the end of the month, Nov. 21/22, the presentation Nov. 29-Dec. 1. We will be multitasking. Students will be watching videos late October on Social Entrepreneurs into November to get a feel for what a business person who creates wealth for social good, looks like. There will be separate assignment sheets for all the essays. This is an overview for the semester. Students who have free time should read ahead. We will be finished with Pidd by the time the first essay is due—that is the plan (smile). Stay on top of the work and ask for help and get help if you are not grasping a concept. If you don’t ask questions, I don’t know what you don’t know until the essays come in. There are quizzes associated with the Pidd work. We will take the short quizzes and longer Grammar Exams in class. We will also squeeze a Library Orientation into the September mix (smile). Plan to be busy. This is a plan, so it is open to revisions and suggestions if it isn’t working for students. The only constants are the end marks or dates for the beginning and ending of the semester, as well as holidays like Labor Day, Veterans Day and Thanksgiving. We do not have a sitting final. The final is an e-assignment – the portfolio which we will work on the final week of classes. Read MLA Format (pages 312). Do “Titles” and “Quotations” exercises (pages 322-329). Beginning Sept. 1 and for consecutive Thursdays in Sept. at 7:30 PM there will be a hip hop film festival presented by Fist Up! Productions. Visit http://www.lapena.org/. There is a $5 donation, but it is optional. On Sept. 29, also at La Peña Cultural Center, in Berkeley near Ashby BART, Dennis Kim performs excerpts from "Tree City Legends," I saw this really wonderful work in the Hybrid program at Intersection for the Arts about two years ago. Students might also want to see what is happening culturally re: September 11, commemorations. Let us know. Today is the sixth anniversary of Hurricane Katrina, the worse natural disaster at that time to hit American shores. Presently there are many New Orleanian residents still in the disapora, displaced and then stuck in cities and towns throughout America. A lot of families here at College of Alameda are here as a result of this displacement. Today is also the birthday of America and the world's most celebrated artists, Michael Jackson, who died about 2-3 years ago. You have a choice: Find an article that looks at New Orleans or the Gulf Region, six years after Katrina (specifically hip hop's response if possible) or an article on Michael Jackson (something current). He would have been 53 today. Read the article, bring the article to class, and be prepared to share it tomorrow. The TTh English 201 met for the first time this Thursday in stuffy A-202 (smile). The class was full and the energy positive as we reviewed the syllabus and then looked at the course materials before completing a writing assignment based on Tupac Shakur's song, "Keep Ya Head Up." Most of the students knew the song, but had never analyzed it before. The idea of a song having a thesis was kind of far fetched for a few but overall students began to roll with the idea and in groups after spending a few minutes discussing the themes running through the song and arguing back and forth about whether the thesis or argument was stated or implied, students wrote a five-sentence summary. Several students said that they believed the sampled track, the chorus, "Ooh Child . . . was from the Jackson 5, were correct. I was thinking as I pulled out of the COA parking lot I don't know why I said it wasn't (smile). Perhaps I needed a protein shot--at 3 PM my brain is kind of tired (smile). Post the group discourses here. It's okay if you didn't get to finish. We will write a summary together in class on Tuesday afternoon next week. Homework for both classes is to read the Introduction to Holler and annotate the text. Start your vocabulary logs for words you don't know and have to look up. Buy your books -all of them. For those students who still need permission numbers, which by the way expire Sept. 3, see me Monday between classes in the morning. You can also call me on my cell if you were in class yesterday and are not on campus on Mondays. Have a great weekend and if any student is not busy on Sunday afternoon, I have work in an art exhibit which is closing Sunday, August 28, 2011, 2-5 PM. I have posted the flier here. Today in class we reviewed MLA format for the essay. Students got into groups and read an essay on MLA from Stewart Pidd Hates English and then corrected a student essay together (Politt Baker 311-314). We discussed recommendation for the student, so he could write a passing essay. We then listened and read the Tupac Shakur song: Keep Ya Head Up. Homework is to write a 250 word summary of the key ideas or themes in the song. 1. Talk about the characters or subjects Tupac uses to illustrate his point. What is the song about? Is it about single parenting or more than that? 2. Use citations or examples from the song to prove or support your points. Remember, all ideas are good, but they need to reference the text. 3. Use Standard English. If you use slang, it needs to be from the song and in quotation marks. Put a line or stanza notation in parentheses after the citation or quote. I brought the textbooks in this morning for students to look at. Buy your books or rent them or check them out from the public library. all the books are in the college bookstore. You need Pidd now and the other books: Dyson and Shakur by Monday at the latest. If you have Shakur now bring it to class, along with Pidd. We start with the section Plagiarism and Paraphrasing (339-379). We will continue with the MLA review (315-317), Quiz (319-320) and (321-331). At the same time we will be reading Dyson and starting on Chapters 1-3 (1-51)(Confused Words, Sentence Punctuation, and Pronoun Agreement). Click on "comment." Post response in box, then click anonymous, make sure you have included a heading: student name, course and time, date, my name. Drop dates: Sept. 2 (w/refund), Sept. 17 (w/out a W), Nov. 23 (w/W). We will use Michael Eric Dyson’s Holler to locate the grammatical forms for analysis SPHE takes us through. Dyson is a much more interesting and engaging writer than Stewart Pidd. I am using this book with my English 1A class also. Those students shouldn’t have as much trouble with SPHE or at least this is the hope; however, after SPHE students should feel a lot more competent about their writing, because you will have the language necessary to talk about what it is you are doing right and what you need to improve on. Your research project will entail finding an artist or organization that uses hip hop culture as a tool to develop consciousness and mental, economic, social and spiritual liberation among the members of its discourse community. Cov Records out of Covenant House, is an example of such an organization. The Ella Baker Center’s “Stop the Violence” Initiative is another such organization. 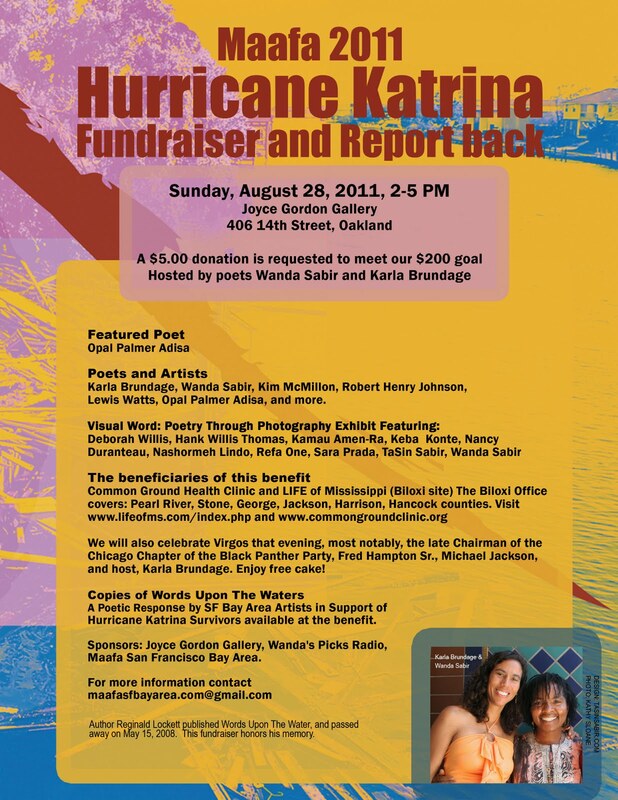 East Side Arts Alliance is another such organization. DESTINY Arts is another such organization. All are in Oakland. The social entrepreneur has to have been active in his or her community for at least 10-20 years (exceptions have been made, so talk to me); however, if the social entrepreneur is too new, the researcher will have trouble finding documented resources to draw from, such as, books, essays, articles, films. All essay assignments you receive comments on have to be revised prior to resubmission; included with the revision is a student narrative to me regarding your understanding of what needed to be done; a student can prepare this as a part of the Writing Center visit (see below), especially if said student is unclear over what steps to take. SPHE will assist students with this response. We will write short essays that reflect themes and ideas discussed that week. Some of these essays will be written in class and posted on the class blog: http://professorsabirsposse.blogspot.com/ The research essay will be an argument. There will be a midterm (SPHE) and a final (portfolio essay and presentation). Bring in an object that represents hip hop culture. Write a brief profile on the object justifying its inclusion in the archives (100 words or so). Be prepared to share. This is also a cyber-assignment to be posted later. Bring in an object that reflects America, American values, its people, landscape, or history. Write a brief profile on the object justifying its inclusion in the archives (100 words or so). This is also a cyber-assignment to be posted later. This includes a reflection on the event sent as a follow-up. English language fluency in writing and reading; a certain comfort and ease with the language; confidence and skillful application of literary skills associated with academic writing. Familiarity if not mastery of the rhetorical styles used in argumentation, exposition and narration will be addressed in this class and is a key student learning outcome (SLO). I’d like to wish everyone much success. I am available for consultation on Wednesdays, 9:30-11:00 AM and on MW by appointment. I am also available after 3:30 PM Tuesdays and Thursdays by appointment. My office is located in the D-216 suite. My campus number is (510) 748-2131, however, I don’t have an office phone number yet. I will share that with students later this month or next. My email again is: coasabirenglish201@gmail.com. Let me know the day before, if possible, when you’d like to meet with me. I am more of a phone person. Texts are fine. Ask me for my cell phone number. I do not mind sharing it with you. I am a phone person, especially on weekends, so take time to exchange email and phone numbers with classmates (2), so if you have a concern, it can be addressed more expeditiously. Again study groups are recommended, especially for those students finding the readings difficult; don’t forget, you can also discuss the readings as a group in the Lab with a teacher or tutor acting as facilitator. Hacker, Diana. Rules for Writers. Fourth or Fifth edition. Bedford/St. Martins.